Refreshed from being able to take a breather with the international break, Leeds United begin the last lap of their eventful season this weekend. With seven games to go – four at home and three away – in the final section of the campaign over the next five weeks the Whites effectively have little to play for aside from trying to finish as high as they can in the Sky Bet Championship. A top 10 finish is still possible with United currently in 13th and only two points behind this Saturday’s opponents, Blackburn Rovers, who sit tenth. 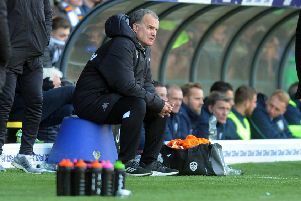 But realistically ninth is the highest Leeds can reach and it will be difficult for head coach Neil Redfearn to keep his players as motivated as they have been in recent weeks as they have successfully fought against relegation. The run-in may, however, give Redfearn a chance to have a look at some of the fringe players and youngsters who have not been able to get into the senior team. Academy products Lewis Walters and Kalvin Phillips have recently been given matchday experience by being on the substitutes’ bench and are clearly close to being ready for the first team. Attacking midfielder Chris Dawson, who has three first team appearances to his name, is knocking on the door again and attracted publicity for a fine display in the under 21s’ win over Brentford last week. Brazilian Adryan, meanwhile, is pushing for a recall and whether he is included between now and end of the season will give clues as to whether United wish to keep him beyond his current loan deal. Two other loan players, striker Edgar Cani and midfielder Granddi Ngoyi, will be hoping for a chance after failing to make any impression since signing in January. The latter has been unlucky with injury and was initially pencilled in for a place in the team in the most recent game at Blackpool, but pulled up injured again after playing for the under 21s and is recovering. Leeds boss Redfearn has admitted he wants to give the youngsters a chance, but only at the right time. He said: “The opportunity will present itself, there’s no two ways about it. “But we’ve got a situation where we go into Easter and we’ve got a game on Saturday and a game on Monday, things like that, and we’re going to have to freshen it up at times. Redfearn has plenty of options then to weigh up before selecting his side for the return to action against Blackburn at Elland Road. Whatever side he puts out, the defence is set to be tested against two of the best strikers in the division in Jordan Rhodes and Rudy Gestede, who Rovers have been able to hold onto despite big interest from other clubs. Blackburn have shown their strength with a thrilling FA Cup run that has seen them beat Premier clubs Stoke and Swansea and draw with Liverpool, but they have slipped off the play-off pace with defeats in their last two matches. United are also in action on Monday evening in a 5.15pm kick-off away at Wolverhampton Wanderers, who are still right in the thick of things chasing a play-off spot. Leeds look set to be without one of their youngsters who has made his mark this season with Lewis Cook picking up an ankle injury playing for England under 19s. The extent of the damage is not known yet, but it looks like the midfielder will miss both the Easter games. Redfearn said: “It looks like it’s ligament damage and that’s a blow. “By all accounts the surface in France wasn’t the best and it’s unfortunate to say the least that he’s gone away fit and come back injured. But these things happen.